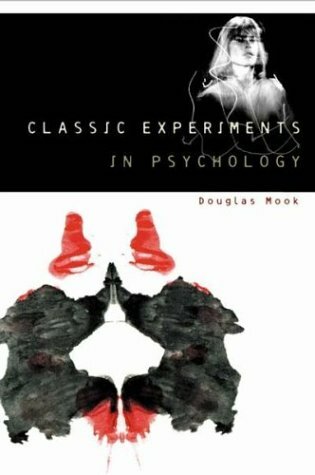 selection of classic experiments in psychology. The selection is designed to be diverse, showing that even for research in vastly different areas of study, the logic of research remains the same--as do its traps and pitfalls. This book will broaden and deepen the understanding of experimental methods in psychological research, examining where the research questions come from, how questions can be turned into experiments, and how researchers have faced the problems presented by research in psychology. Douglas G. Mook is Professor Emeritus of Psychology at the University of Virginia. He has published widely in leading professional journals, including Psychological Research, American Psychologist, and the Journal of Comparative and Physiological Psychology, on such diverse topics as the nature of preferences, the problem of external validity in research, and the neuroendocrine control of ingestion in rats. Professor Mook is also the author of Motivation: The Organization of Action. He lives in New York City, where he teaches regularly at local colleges while cultivating his interest in operatic performance.